The achievement was announced by Jeff Huber, senior vice president of Commerce & Local at Google, announced on his Google+ account on Monday. He also encouraged users to share their feedback, especially within the application, which users can do by shaking their iPhone. "We're excited for the positive reception of Google Maps for iPhone around the world," he said. "Congratulations to the Maps Team on the recognition for the passion and hard work they poured into it, for this release and over the last 7+ years." Google Maps for iOS launched last week on the App Store, and is designed for the iPhone and iPod touch. Though it runs on the iPad, a version of the application designed for the larger displays of the iPad lineup is said to be forthcoming. As of Monday, Google Maps remains the No. 1 most popular free application on the iOS App Store. It is followed by Google's YouTube as the No. 4 most popular download. With the launch of iOS 6 in September, Apple decided to abandon both Google Maps and YouTube as native applications built-in to its mobile operating system. While YouTube was removed completely, Apple replaced Google Maps data with its own proprietary mapping service in the native Maps application in iOS 6. The changes were made as a result of a growing rivalry between Apple and Google, as the two compete in the smartphone market with Google's Android the most popular mobile operating system. 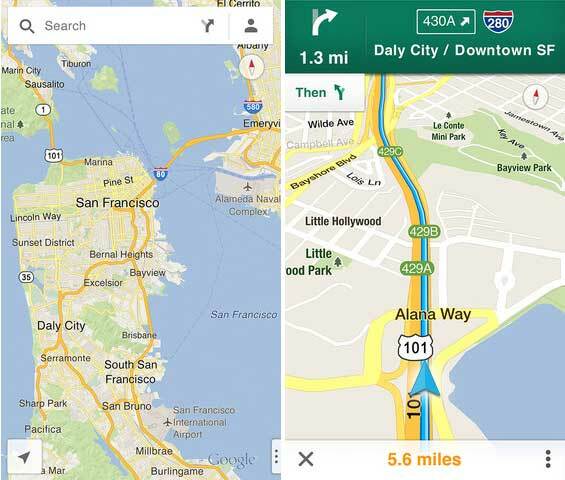 Market watchers feel that the release of Google Maps for iOS has its pros and cons for Apple. On the plus side, users now have a plethora of competitive mapping options on the platform. But the negative public perception surrounding Apple's iOS 6 Maps has also been a detriment to the company.